Sometimes it seems that the whole world has lost its way, that we need to find our way back from somewhere we didn’t even know we had wandered. This week, several of our bloggers are thinking about the landscapes in which we find ourselves and the things that call us back. In the days following Holocaust Memorial Day, Kathryn reflects on the overwhelming reality in her blog “Good in Parts.” This morning I read that if we were to keep a minute’s silence for each victim of the Holocaust, the world would remain silent for 11 years. The forces that divide us instead of uniting us have not been defeated. Charlene Hinckley reflects in her blog “Musings for a Beautiful Day” on how racism and homophobia, always present, can be more hidden or more obvious. People who clapped at a sermon that spoke against racism when I first arrived, now speak to me about not being too political… I wish that every week as I bless my congregation telling them they are loved and nothing can separate them from God’s love and they should act on that love. Made a difference, changed hearts and minds. Yet, my words are not enough, my anger and sorrow are not enough. My thoughts and prayers are not enough. We want to be better people in a better and healthier world. In “God of the Sparrow,” Kathy Manis Findley reflects on getting what we want… or not. There is no shortage of gurus telling people how to get what they want. Good health. A slimmer frame. A better television. A nice house in a nice neighborhood with a nice, lush lawn. And just this week evangelist-turned-Trump-advisor Paula White told us that sending money to her would result in riches for us! As we try to find our way out of the fog, we may discover some new complications. In her blog “Quietly Rolling Thunder,” Kathy Randall Bryant reflects on occasions when we think we’re leading, but the reality is quite different. I thought I was leading. I was not. I was walking ahead… but still following, still under the guidance of my family. And at some point… I was no longer aware of the guidance, and our paths diverged. For a time, we went our separate ways. For a time, I was lost. Still, there are landmarks for us, some of which come back to us at unexpected moments. Memories can call us back to a clearer understanding of who we are. Mary Elyn Bahlert shares a touching remembrance of someone she knew as Uncle Liga in her blog ”The Wisdom Years.” William Liga was my mother’s godfather, so I was told. Every time he arrived at our house, he was dressed in a suit, like a retired businessman. When I think of Uncle Liga, a small place in my heart is warm. Laurie Brock, in her blog “Rev. 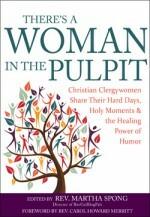 Laurie Brock,” reflects on the power of liturgy to call us back to who we are, to remind us of who God calls us to be. Wherever I am, the liturgy of God finds me and brings me back to myself and to God… I have surrendered to its words of love, its words of Good News. They find me scattered and smothered and meet me there in prayers I have prayed for so long they seep forth from my heart. God in the liturgy lavishes me with the prayers of thousands of years of the people of God, reminding me of the great cloud of witnesses that prays with me, with us. These are just a few of the 100+ new blog posts just this week from members of the RevGals blogging community. 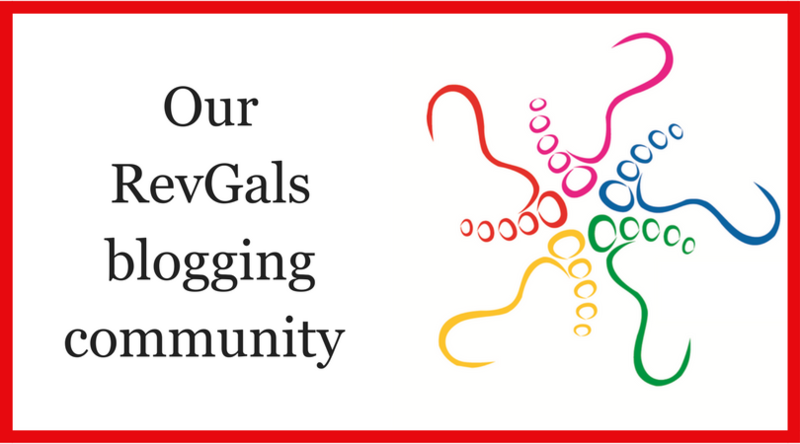 If you would like to read more, go to our web page (www.revgalblogpals.org) and look for the button labeled “Our Blogging Community.” When you visit blogs on this list, please leave a Like or a comment so the bloggers will know that you appreciate their work. ← 11th Hour Preacher Party: extreme weather edition!